Surrender to the FOMO and come party with us! We’re throwing a party to celebrate the release of the first edition of the Tether Sourcebook, a print book featuring the photo work of the best photographers, stylists, makeup artists, fashion designers, creative directors, and more—all working in the Cincinnati area. Featuring the work of 100+ local image-makers and entrepreneurs, the Tether Sourcebook is a resource for talent and inspiration. Our first big bash features light bites and cocktails, impromptu photo shoots, and interactive art—all inspired by the Tether Sourcebook.Join us to celebrate the launch and mingle with the talented creatives whose work is highlighted in the book. RSVP now! Known as the Gallery in the Sky, Art Design Consultants' space in the EDGE Building boasts panoramic floor-to-ceiling views of the city, beautiful art, and amazing acoustics. Bonus: There's plenty of free parking in the lot across the street. Need a photographer? A stylist? A producer? 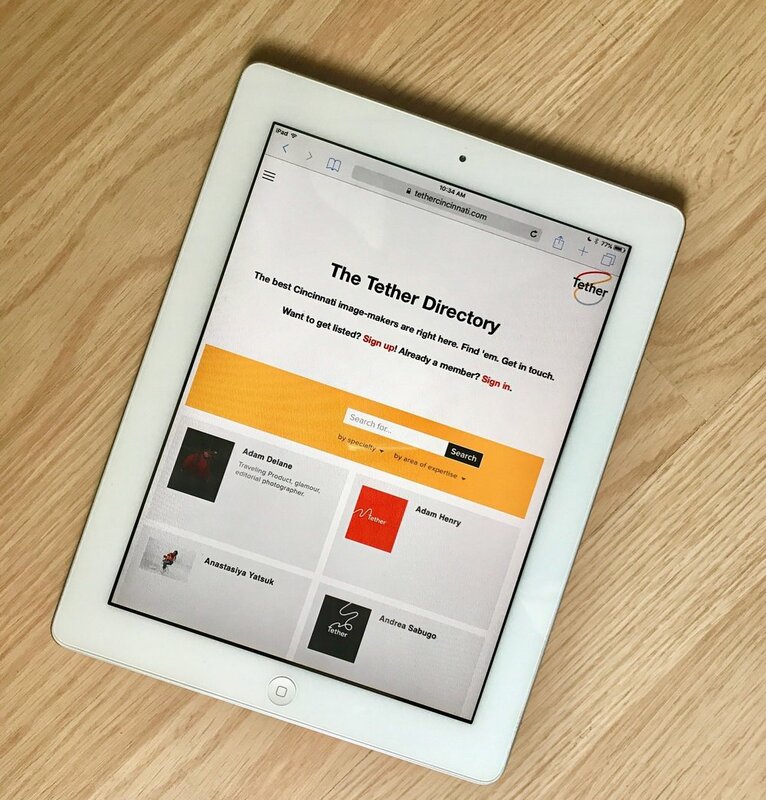 Search and find the talent you're looking for on the Tether Directory, a curated listing of the best image-makers in Greater Cincinnati. Subscribe to be the first to know about Tether events and opportunities for image-makers. No spam, no sharing, no worries.